40 or more $79.00 ea. 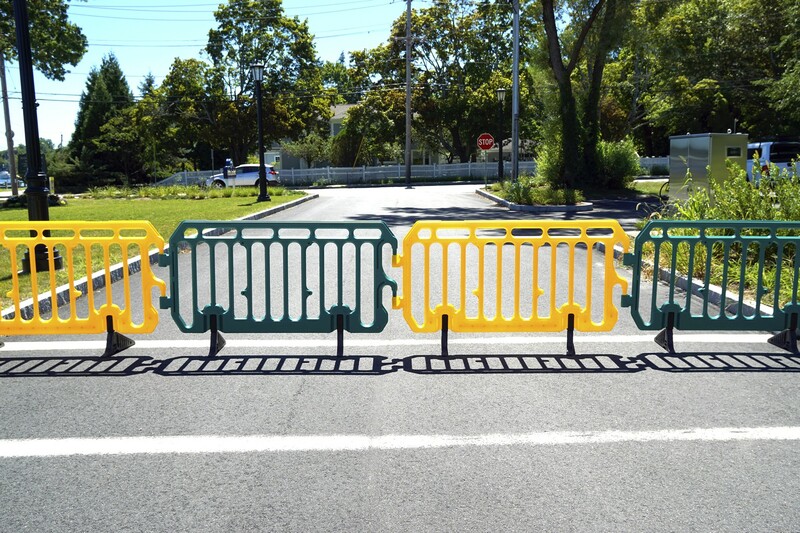 The Start Barricade is a new solution for pedestrian crowd control for any occasion. This is the next generation in crowd control barriers, a plastic barricade that is a real alternative to steel barricades! A modern, lightweight design made from HDPE (High-Density Polyethylene) makes it fast and easy to deploy yet sturdy and strong, keeping pedestrians from accessing closed and restricted areas. Twin locking points at either end make the barricade extra stable and provide an "anti-twist" function. It is simple to set out and suitable for single worker lifting. No sharp edges mean a lower risk of injuries compared to metal pedestrian barricades. Custom branding, advertising, and safety information plaques can be added to the barricade to further improve its visibility and safety. Each plastic barrier weighs only 21.8 lbs. This low weight is achieved by using a blow molding process to form the main body. By making the main body of the barricade lightweight the center of mass is lowered, making this a very stable crowd barrier. Each section is light enough to be picked up by a single worker and quickly deployed, this makes deployment far faster than traditional metal barricades. The lighter weight of these barriers means that more can be transported without exceeding vehicle weight limits, reducing transport costs. 40 plastic barricades can be stacked onto a single pallet. They stack vertically and do not need any specialist lifting equipment to be moved. It makes storage far cheaper than other crowd control barriers for sale on the market. The Start Barricade system can help you to save money in many ways. It has a long lifespan due to its strong construction. It is cheaper to store as more units can be stored on a pallet. It is cheaper to transport as more can be moved in a vehicle without exceeding weight limits. It takes less time to install and remove as it is easier to handle. It may be plastic but don't underestimate its strength! The design uses a double beaded system on its seems. As shown in our youtube video it is exceptionally strong. We reversed a large truck over one of our Start Barricades and as you can see, it did not leave a mark the barrier simply pops back to shape. Metal barriers bend, twist and dent when given this type of abuse. Use our plastic barricade to keep incoming and outgoing pedestrian foot traffic organized and prevent overcrowding. 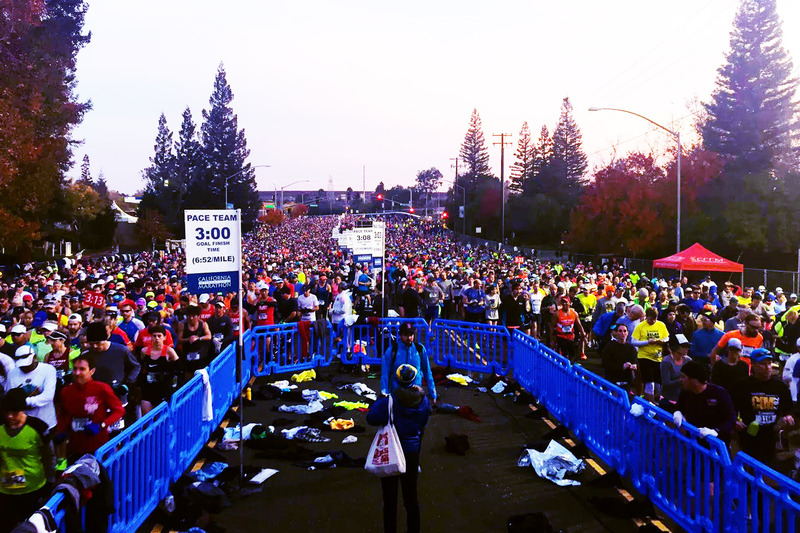 This lightweight barricade is ideal for the long runs required on marathons to separate spectators from the runners. Suited to almost any type of event or convention where the public need to be kept separate from displays and stands. When a piece of equipment such as an escalator has failed the Start Barricade is ideal for preventing access. The unique Start barricade feet make this an easy to store and stack barricade, each foot can be rotated in line with the barrier itself when not in use. Our standard colors are produced ANSI Safety Red, Orange, Yellow, Green, Blue, Purple, and Brown. 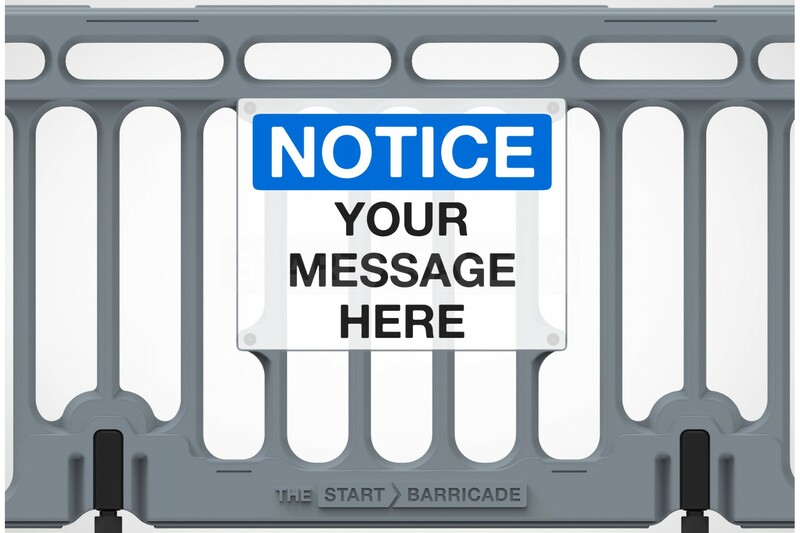 The barricade incorporates four mounting points that custom branding or safety messages can be attached to. Michael from our sales team recently contacted Steve Shadduck from Xtreme Xperience to find out how the Start Barricade was performing for him. 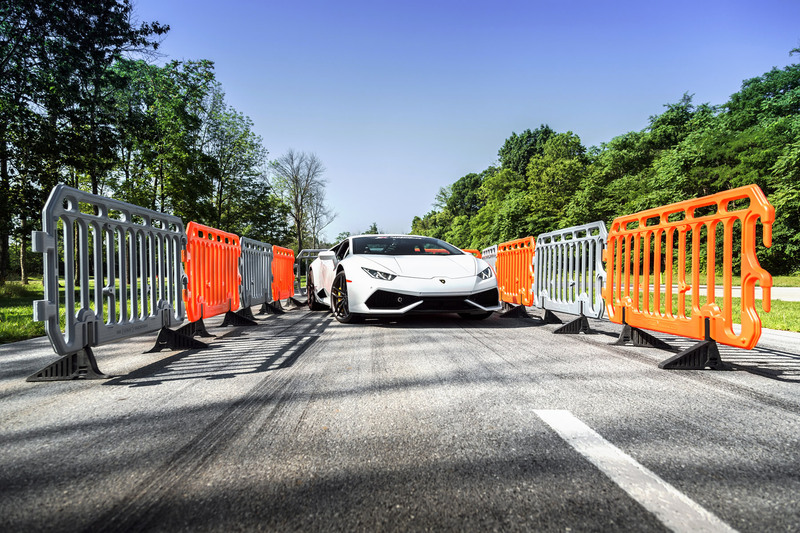 Steve was one of our first customers to take on the Start Barricade, they are used for his supercar driving experience days to provide safety and security. What made you choose the Start Barricade over all your other options? 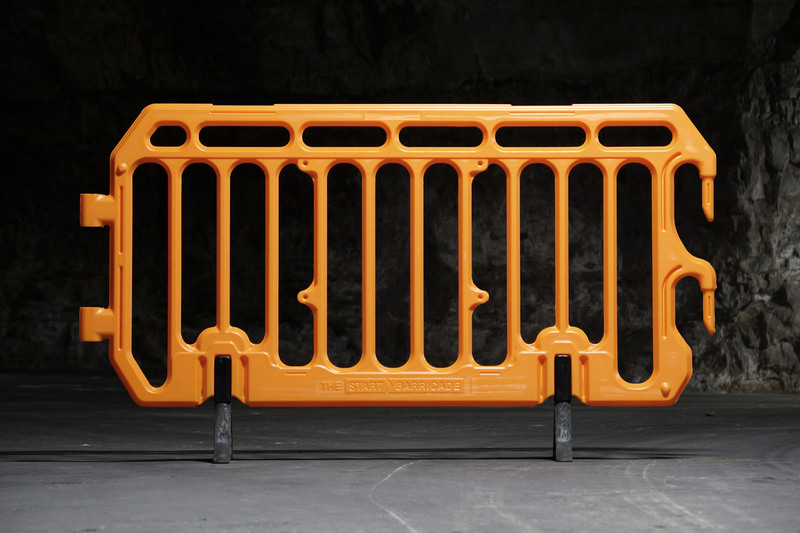 Steve: "We chose the Start Barricades because they are not only lightweight, durable, and modular, but offer a modern design, and are available in custom colors." Have the Start Barriers held up to your expectations? Steve: "Absolutely. They're light weight makes them easy to transport and set up at events. They have also proven to be extremely durable." What do you use the Start Barriers for? 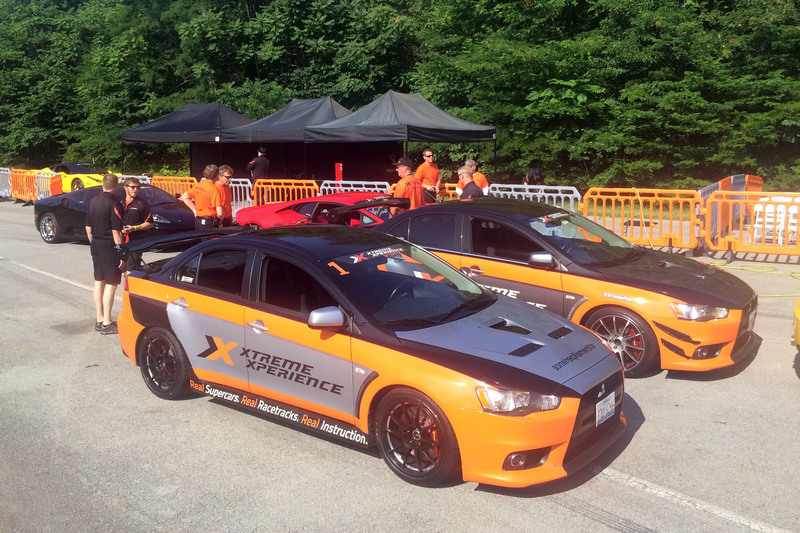 Steve: "Xtreme Xperience is the nation's premier supercar driving experience. 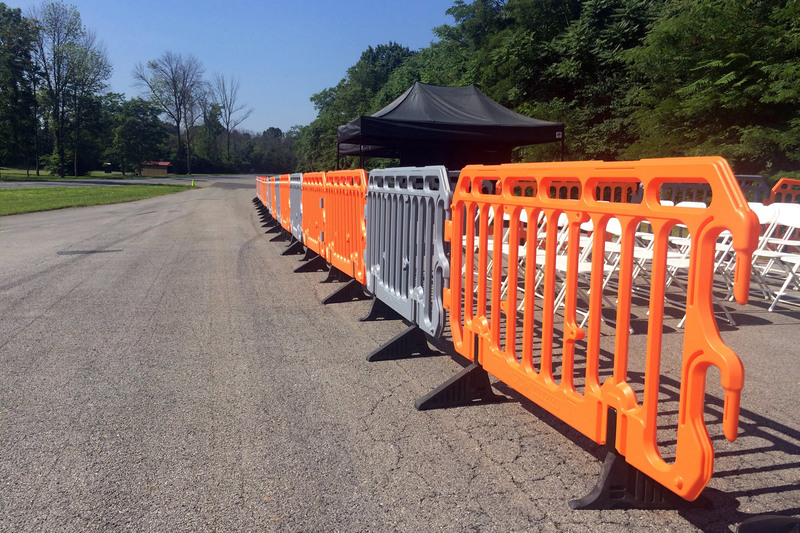 We use the Start Barriers as crowd control to keep our guests safe in the pits and on the race track." Steve: "From my initial product questions to timely delivery, Start Traffic consistently exceed expectations." How would you rate your satisfaction overall with the product you purchased and the company as a whole? Steve: "The Start Barricade information and pictures were exactly as described on the website. I connected with a rep before ordering to confirm availability. They were able to quickly ship my large order and everything arrived sooner than expected. Communication throughout the buying process was perfect. The Start Barricades have been a tremendous improvement to our program since!" If you want to see our plastic barricades in person then why not take a ride in an exotic sports car at the same time with Xtreme Xperience. 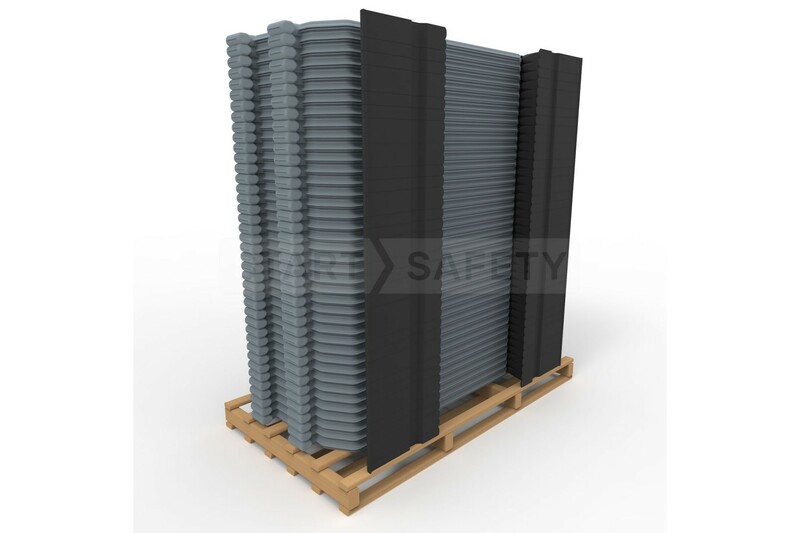 Being made from virgin HDPE the Start Barricade is not only 100% recyclable, it also has not scrap value so is not a target for scrap metal thieves. For this reason, we see plastic crowd control and plastic safety barriers being the choice of the future. 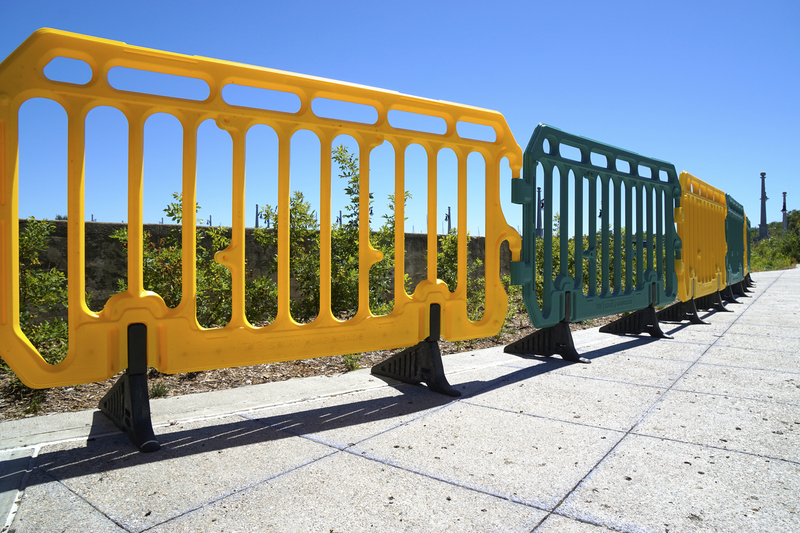 Speak to our sales team about the Start Barricade or any of the barricades for sale today, they can assist with everything from technical inquiries to bulk pricing discounts. Call today toll free at (800) 671-9662. Signage Area Minimum: 18x24" - Maximum 24x24"
Can the feet be replaced? Hey Gill, Yes, of course! Should the feet ever become damaged, they're easily replaced as well as the spigot.